Google has just launched English support in India, but that's not all. It's also rolling out support for a few region-specific music services. 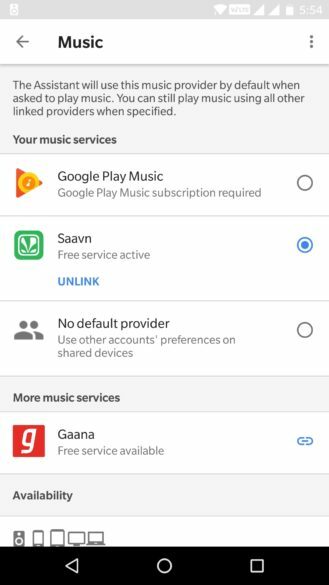 Users of Saavn and Gaana can plug their accounts into Home and make them a default music streaming service. It only takes a few taps. Saavn and Gaana are both popular services in India, but they're available to users worldwide. They both seem to focus on regional Indian music, but there's international content as well. I haven't used either one, but that is my impression. 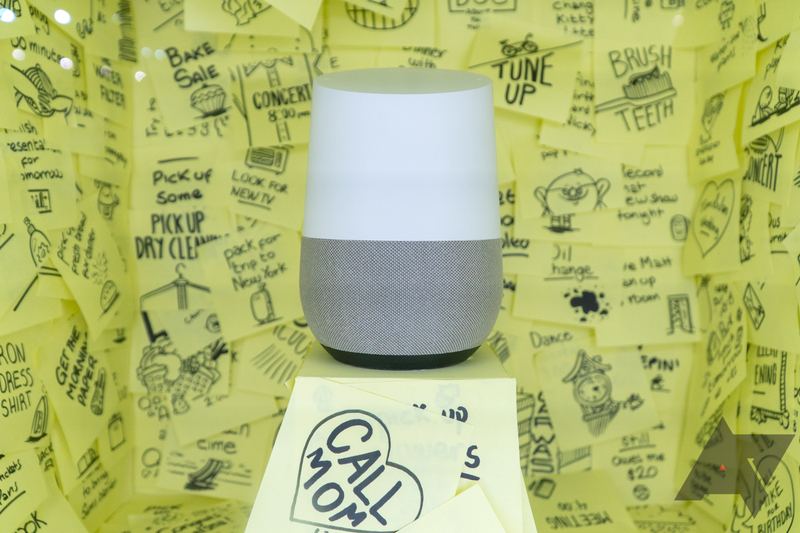 They both have free service versions that work with Google Home. They've got premium services as well. 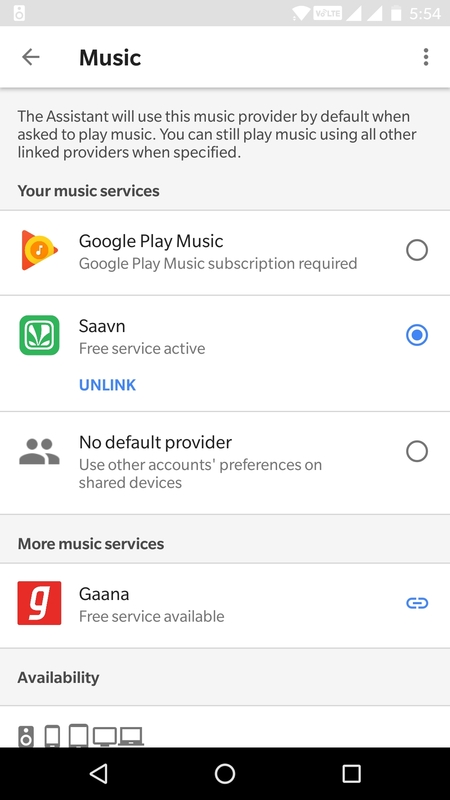 To add Saavn or Gaana, open your Assistant settings, and scroll down to "Music." 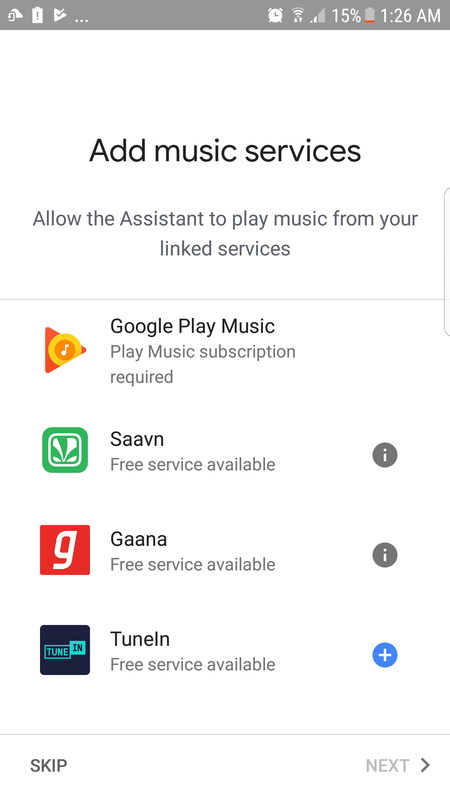 Just link your account and Assistant will be able to access your music. Make sure to select Saavn or Gaana as your default if you have shared Home devices.